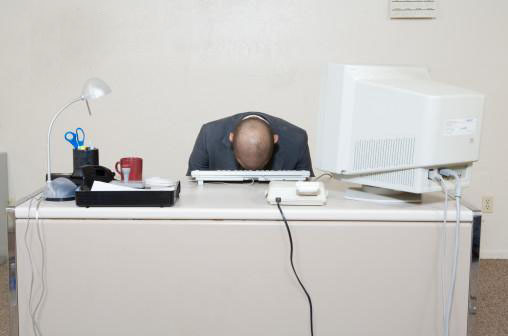 So you’ve completed a business management software implementation process for a client. Job done? Far from it, I’m afraid. Selling and implementing the software is only half the battle. Now’s the time to be thinking about how you can leverage that software to become an indispensable adviser for your client. 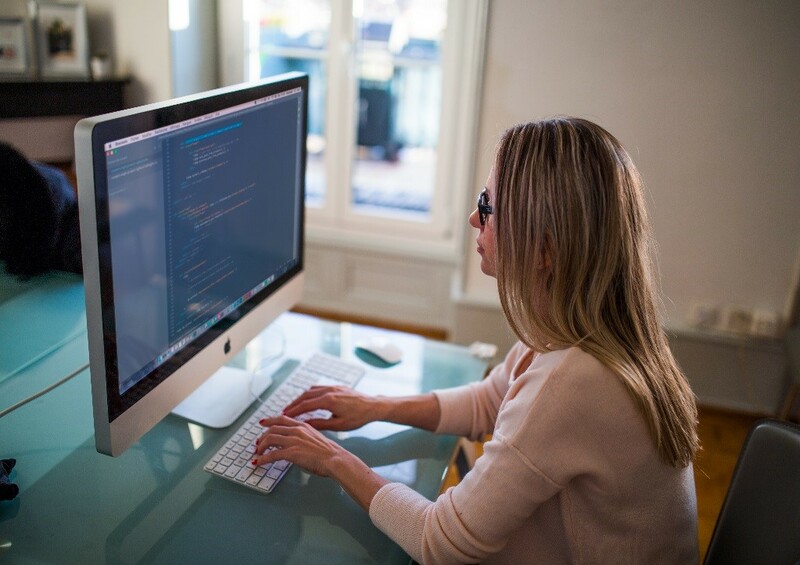 Here are 3 ways to make sure the software platform you implement is the gift that keeps on giving – and that you get all the credit. Factor in change management for all your implementation projects – because if there’s one thing we want to avoid, it is frustrated employees who reject the software altogether. One of key causes of new technologies failing is because the importance of change management is not sufficiently prioritised – or in some cases, completely overlooked to minimise spend. While this may save dollars in the short term, it’s likely to result in far more expensive issues down the line. As a result, a software implementation process must include managing the change of migrating to this new system and updating existing processes accordingly. If people haven’t bought into the use of the new platform, it will create some resistance, and in some cases, rejection altogether. Not only will that tension impact your client’s staff morale and productivity, but it can also spell disaster for you – by blowing out timelines, increasing downtime, and damaging your clients’ perceptions of the value of the platform and your services. After all, how can they appreciate software that no one uses? Almost every company has an implementation horror story. But by being mindful about people, processes, and the need for proactive change management, they’ll be singing your praises instead. Get some quick productivity and efficiency wins under your belt by automating tedious manual processes. Once you’ve got the software in place, it only makes sense to start delivering some tangible efficiency benefits straight away. While there’s always a learning and adoption curve, you’ll still be able to identify some high-value areas for quick improvements. My tip? Look for tedious manual processes that have the potential to be automated. Automating the quote follow-up process, to save time for the Sales team, and make sure no customer enquiry goes unnoticed. Implementing auto-replenishment rules to ensure the right person is notified when stock is low and in need of replenishment. Identifying and notifying debtors using an automated follow-up notification, to take yet another manual task off the Finance team’s to-do list. A few quick wins can do wonders for software adoption and retention, and clients are a lot more likely to refer you to their friends of colleagues. Further below, I’ve listed all the different ways HARMONiQ Business Tuning Software augments our partners’ value proposition to their clients. Scroll down to read or download our Channel Partner Overview. Work with the software to identify key opportunities for improvement, or critical risks. With a new business management software in place, now’s the perfect time to reshape your client’s perception of you from software implementer to trusted adviser. The right business management software provides you with a framework for making the most of all the data you have at your disposal. The reporting dashboard should give you a variety of business critical information that you can use to shape your expert recommendations to clients. And if it’s a customisable platform, you should be able to adapt it to suit your client’s priorities, whether they value stock, customer, sales performance – or all three! Ensure you include change management as part of your implementation plan, and continue to factor that in well after implementation is complete. Identify manual processes that can be automated for quick efficiency improvements. Leverage reporting capability and data you now have at your disposal to power-up your recommendations and advice. Becoming a trusted adviser for a client is no easy feat, and starting with the right software platform can make things a whole lot easier. As a HARMONiQ Partner, not only will you be implementing a powerful, customisable, and fresh business tuning platform for clients, you’ll also be armed with our in-depth partner training, best practice implementation framework, and sales & marketing resources. We’ve already done the hard work for you by creating a solid software implementation framework – complete with change management. At HARMONiQ, we equip our partners with a eight step implementation framework that builds in aspects of change management all the way through. This ensures that your client always has the right people involved at appropriate times, gets varied input and participation throughout – while keeping your project scope well in check. By having a replicable process based on best practice, we find that partners who use our framework finish implementation projects with time and budget left over to spend on additional end-user training or on-boarding sessions. HARMONiQ is a powerful software with customisable workflows and automation tools – enabling you to get some quick efficiency wins. In-depth reporting functionality giving you quick access to business critical insights to dazzle your clients. Which inventory items are moving quickly, and which items are not moving at all? Which customer accounts haven’t ordered in a while, are you at risk of losing them to a competitor? 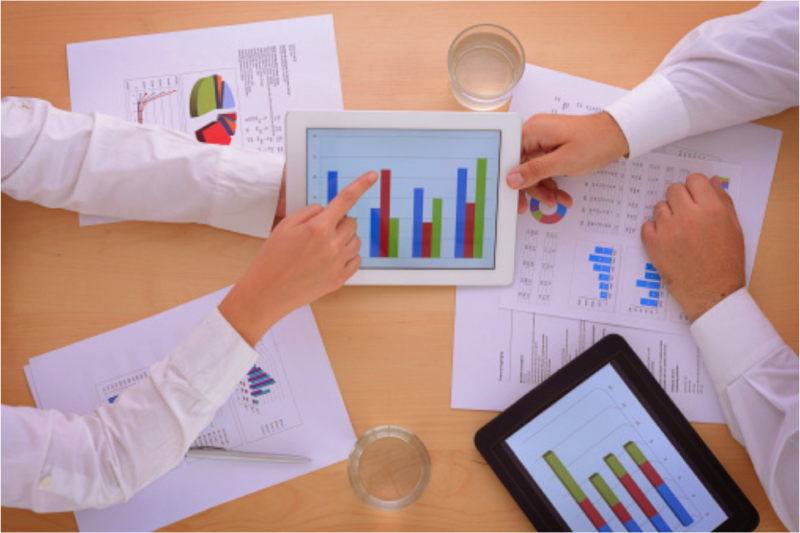 Is your sales team tracking against their KPIs, and if not, who needs an extra push? They find that having access to ad-hoc reporting tools like this really support their recommendations to clients with data and hard numbers – and enables them to start playing a key role in shaping the future of their business. HARMONiQ Partners are also encouraged to book in ongoing review meetings to make continuous improvements iteratively. By adding these meetings into your client engagement process, you are motivated to look for more ways to showcase your deep knowledge of their business, and leverage your expertise to help your client achieve their revenue objectives for years to come. 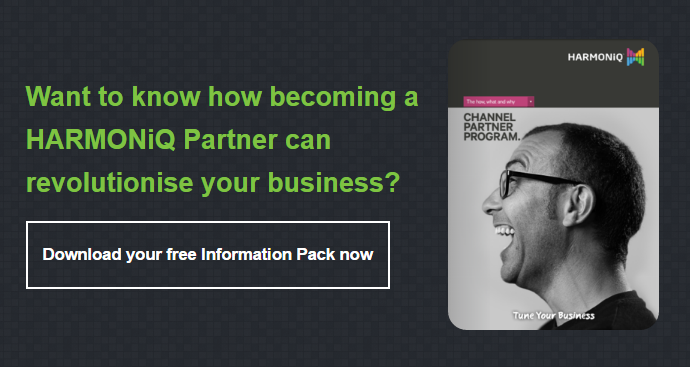 If you want to know more about the benefits of the HARMONiQ Channel Partner Program, download our Partner Information Pack for more details on the how, what and why of becoming a HARMONiQ Channel Partner. Want to see what HARMONiQ can help you achieve for your clients? Book in a live demo.